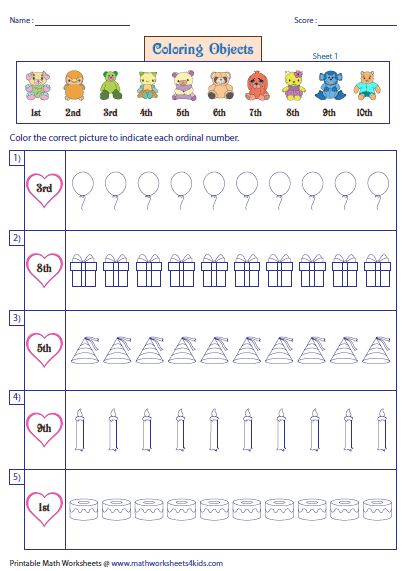 Ordinal numbers worksheets have exclusive and numerous exercises and activities for children. 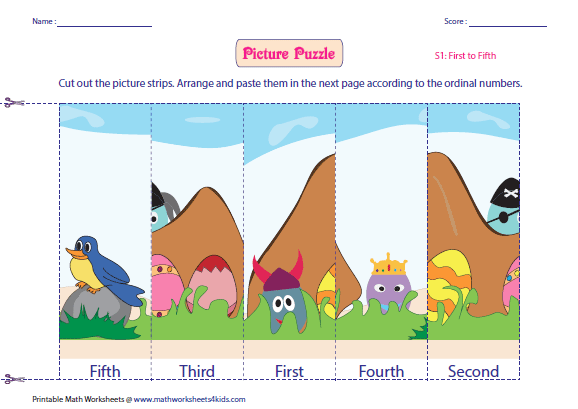 Standard problems to write the ordinal numbers, interesting picture puzzles, exercises to differentiate ordinal and cardinal numbers, cut-paste activities and coloring activities are available in these worksheets. 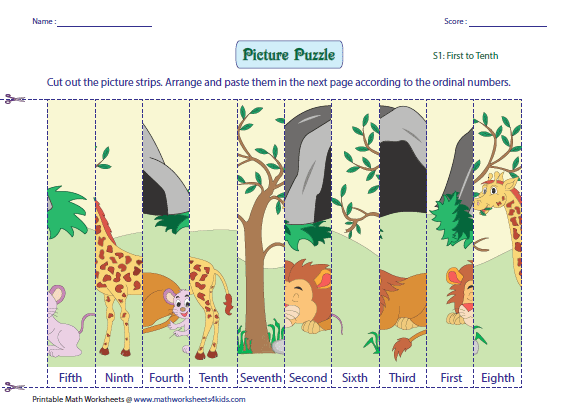 Colorful themed charts which carry ordinal numbers from 1 to 100 are displayed here. 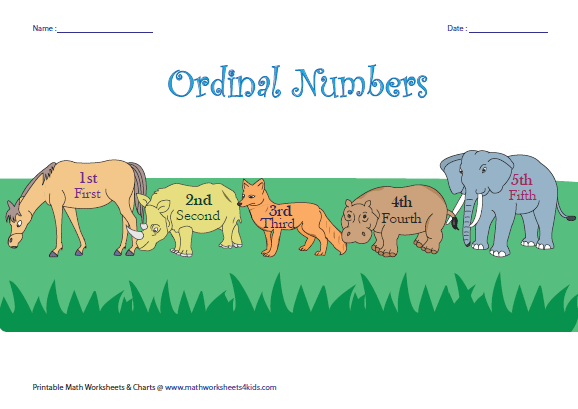 Interesting themed ordinal charts have the ordinals written in words and represented in numbers. Chart 3 is displayed with both ordinal and cardinal numbers. Try out these interesting and challenging puzzles. 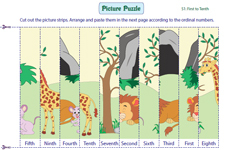 A picture is divided into ten parts. 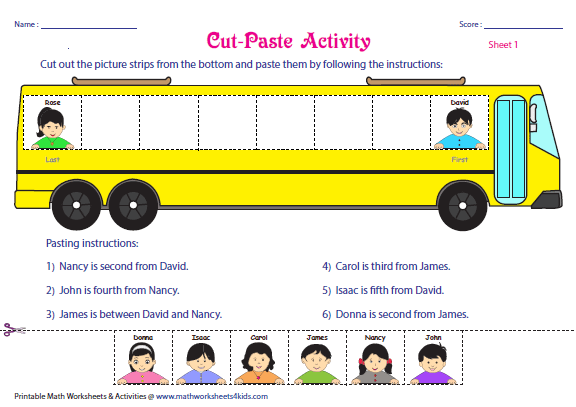 With the help of the given ordinal numbers arrange the picture strips and paste them in order. There are 10 students in a row. The first and the last student are already shown. The positions of the other six students are defined. Cut out the picture strips from the bottom and paste them according to the given instructions. 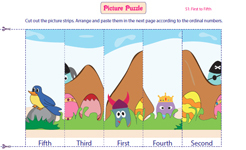 Five set of pictures are displayed in each worksheet. 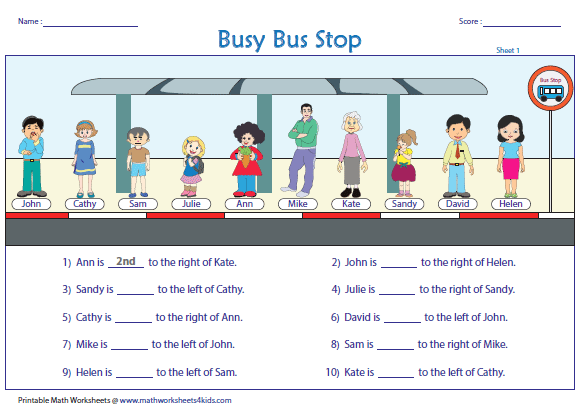 Each worksheet has an interesting theme for children. 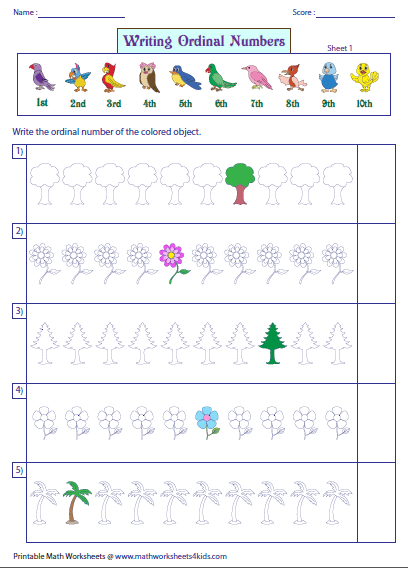 Color the picture which indicates the given ordinal number. 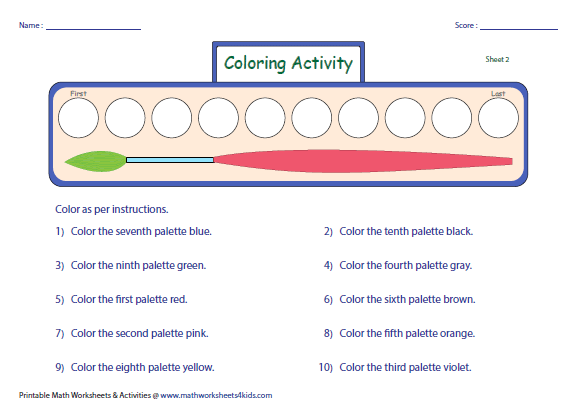 Exciting coloring activity with distinctive themes is here for your children. Follow the given instructions given and color accordingly. 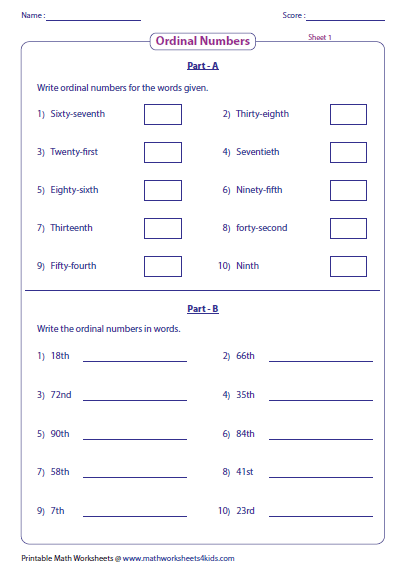 Each worksheet has seven statements given. 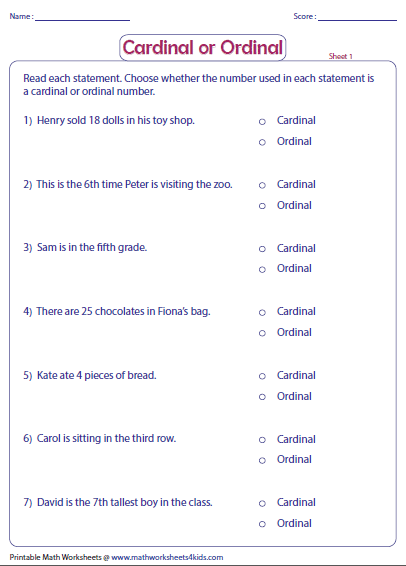 Read each statement and recognize whether the number used in each statement is a cardinal or ordinal number. 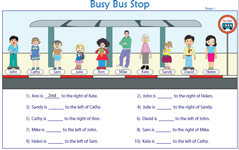 Six themed worksheets have numerous objects displayed in groups. One among them is colored. 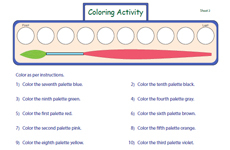 Write the ordinal number of the colored object. 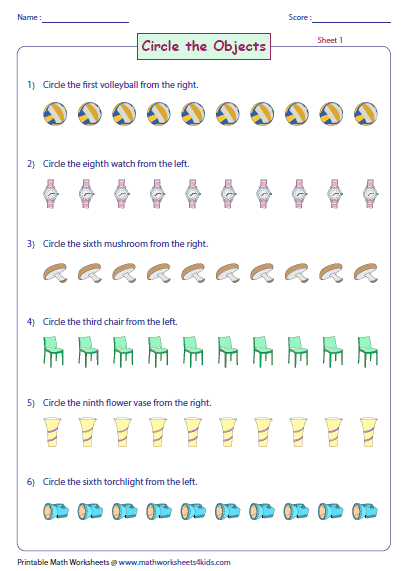 Each worksheet has six sets of objects shown. Circle the correct object according to the instructions given in each question. Ten friends live on different floors of an apartment. 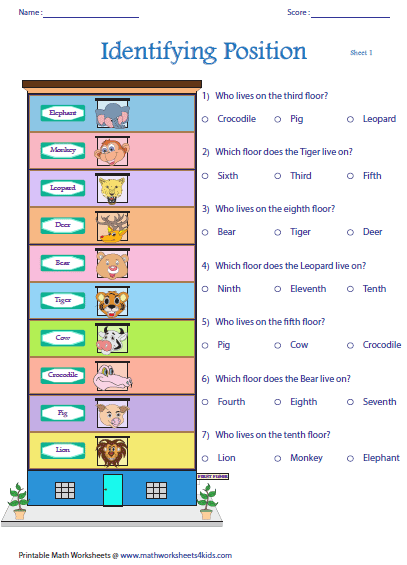 Answer the questions in these themed worksheets to know on which floor they actually live on. Fill in the blanks with ordinal numbers to represent the position of common people who are standing in a bus stop, amusement park and for a photograph. Twenty standard problems are given here for practice. Part A has ordinal numbers written in words. Write the numerals for it. 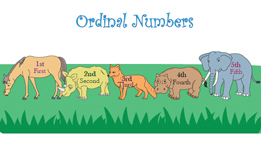 Part B has ordinal numbers to be written in words.